There is no visual information and very little written references to the type of hats Thomas Jefferson may have worn or preferred. It was not until late in Jefferson's life that a mention was made of headwear. Daniel Webster visited Monticello in 1824 and said of the former President, "His whole dress is neglected but no slovenly. He wears a common round hat." 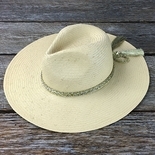 The round hat or slouch hat with a high crown and mid to wide brim had more utilitarian than fashionable roots, as traditionally it had been worn primarily for protection from sun and rain. The round hat became popular in France during the revolution as a signal of republican sympathy and could have found its way into Jefferson's wardrobe for similar reasons. By 1824, the fashionable version of the round hat had metamorphosed into the top hat, which retained its fashion superiority throughout the remainder of the nineteenth and into the early twentieth centuries. That Jefferson still wore the round hat in 1824 would indicate a disregard of the latest fashion trends. This round large brimmed hat is genuine Panama. 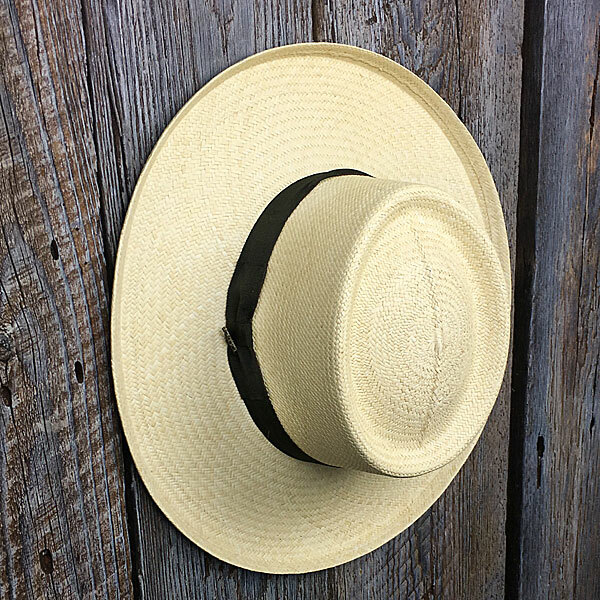 Panama hats are hand-woven from strands of toquilla grass, which grows in tropical South America. These hats originated in Ecuador, where the art of hand-weaving has been passed down from generation to generation virtually unchanged. 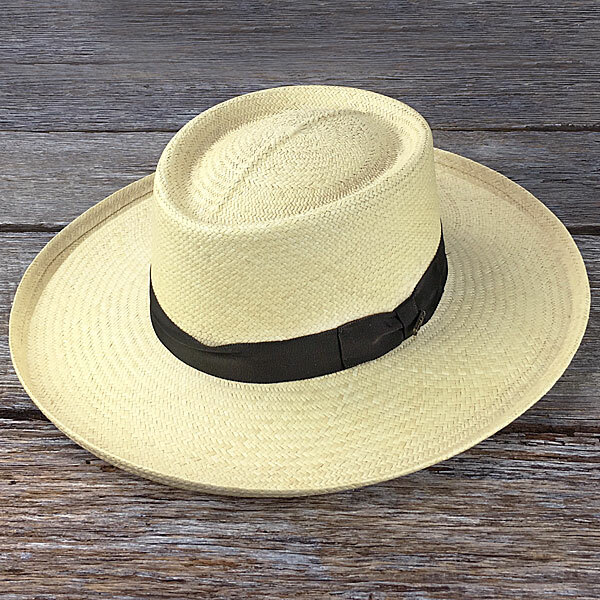 Weaving and steaming a Panama hat takes from two to eight weeks, with each one reflecting the individual and artistic skill of its maker. 14 �� x 15� x 4 ��. Please choose size M, L, or XL and enter on the line above.